Advance bookings are required for all beauty treatments and Spa Packages. At least 48 hours notice is required for cancellation of any bookings. If less than 48 hours notice is given, 50% of the standard price will be charged. We reserve the right in our absolute discretion to refuse admissions and alter opening hours. Children are admitted within the Spa between 9am and 10.30am and between 4pm and 5.30pm. Each child must be accompanied by an adult who is a member or hotel resident and must use the Spa only during these restricted hours. One adult may accompany no more than 2 children. Guests are required to control the behavior of their children at all times. Any guest who fails to comply with the above conditions, the rules of the Spa, the instructions of Spa Management or who in our opinion conducts themselves in an unbecoming manner or whose conduct could bring the Spa into disrepute, may be asked to leave at our discretion. We will endeavor to keep the Spa facilities operating during our opening hours as published, but guests acknowledge that such facilities and/or the Spa may be closed from time to time for necessary cleaning, decoration, repairs or for reasons beyond our control. Whilst we endeavor to minimise disruption to guests’ use of the Spa, we have no liability to guests in respect of the same. No smoking is permitted within the Spa. Guest may not bring or consume their own food or drink at the Spa or within the grounds of Rushton Hall. Guests who are, or appear to be, under the influence of alcohol or drugs will not be permitted access to the Spa. Only guests over 17 years of age may use the Sauna, Steam room, Fitness Suite and Spa pools. Specific instructions for the use of all Spa facilities are available at the Spa. These must be strictly adhered to. Rushton Hall accepts no liability for a guest’s failure to observe these instructions. Use of the Spa facilities is solely at the risk of the guest. Rushton Hall accepts no liability for any illness or injury resulting from the use of spa facilities, due to over exertion, or aggravation of a medical condition caused by such use. We recommend guests seek medical advice before undertaking any exercise. Nothing in these conditions or the rules of the spa shall limit or exclude our liability to guests for death or personal injury caused by our proven negligence. 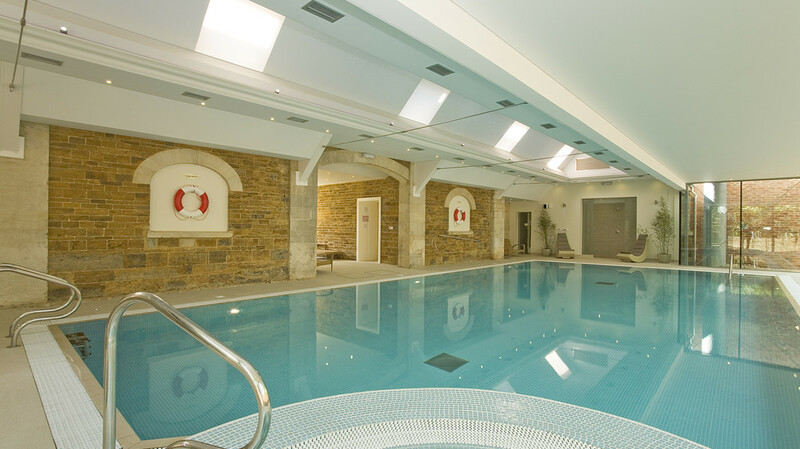 Whilst lockers are available, guests are advised not to leave money or valuables in the Spa. We do not accept responsibility for the loss or damage of such items. The Spa must be vacated when requested by the management, or upon the sound of the fire alarm. In consideration of other guests, please refrain from using a mobile phone in the Spa. We reserve the right to alter prices of treatments without notice. We reserve the right to alter these Terms and Conditions or details of membership.